An important part of the culture and history of any nation is its traditional cuisine. Armenian cuisine is one of the oldest in Asia and the oldest among the people of the Caucasus and Transcaucasia. Archaeologists claim that the Armenians have already 2500 years ago had an idea about the different technologies of baking and cooking. All the favorite dishes of Armenian cuisine, such as dolma, khash and khorovats (barbecue) have come from the ancient times and still adorn the Armenian feasts and celebrations! We have repeatedly introduced you to the traditional Armenian cuisine and shared delicious recipes. Armenian traditional cuisine is truly a windfall for gourmets and lovers delicious dishes. But what do you know about the Armenian traditional drinks? Of course, the first thing that comes to mind is the famous Armenian brandy. In this article, we offer a brief outline of the local beverages and drinks, which you should definitely try. So here we go! 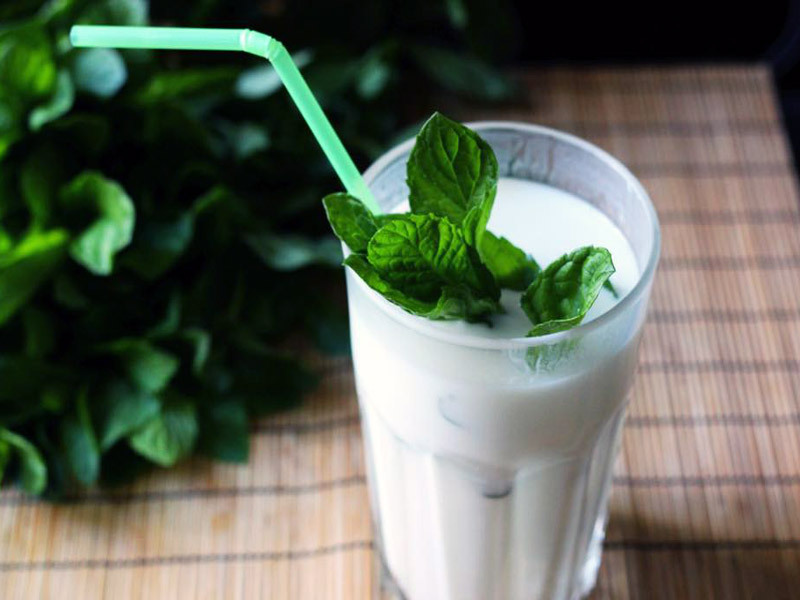 Perhaps the most popular soft drink in Armenia is the tan- a mixture of water, salt and Armenian yogurt called matsun. Special attention should be paid to the main ingredient of the tan – matsun. 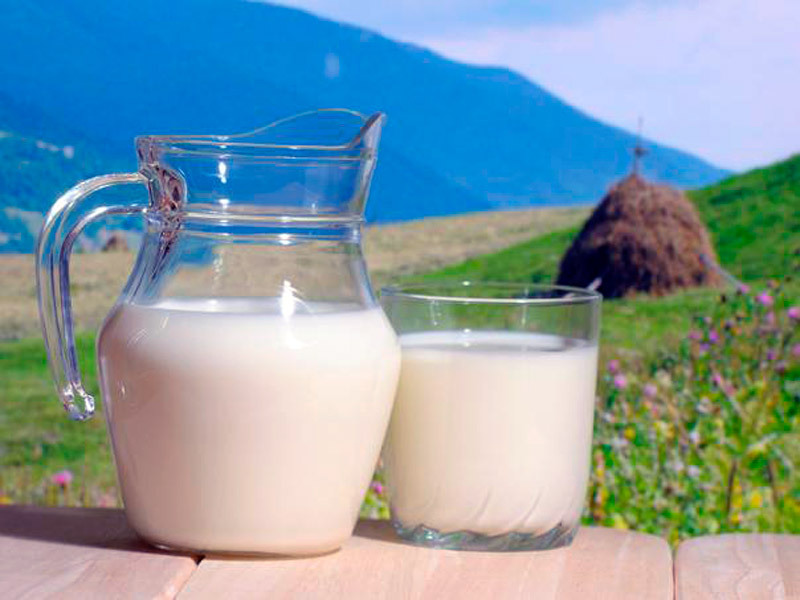 Matsun which is fermented milk product is widely used in the Caucasian cuisine. Matsun has the consistency of yogurt, so it is difficult to sort it as a drink. This dairy product is an excellent dressing for salads and a basis for various sauces. Every housewife knows the Armenian tan recipe: for the preparation of the drink you need to take about a liter of matsun, give it a good whip with salt, then stir with a spoon, gradually adding water. The amount of water depends on your preferences: the less water, the thicker and tastier the tan! It is desirable to drink tan chilled. Another tasty variation of tan preparation is mixing it with various finely chopped greens, spring onions, and diced cucumber. And here you have Armenian okroshka! It is worth noting that tan and matsun, in general, is not only delicious but also a very useful product. Tan without added salt and based on mineral water, helps to reduce and regulate high blood pressure. Matsun due to the high content of various bifid bacteria helps to improve the functioning of the gastrointestinal tract and normalize digestion. You can buy matsun or ready-made tan in any store or supermarket for a ridiculous price: a bottle of 500 ml Matsun costs 300 – 400 drams (0.7 – $ 1); nearly the same costs a liter of tan. You can also buy homemade matsun, which is usually sold in one-liter jars, and try to prepare this delicious drink. Bon Appetite! 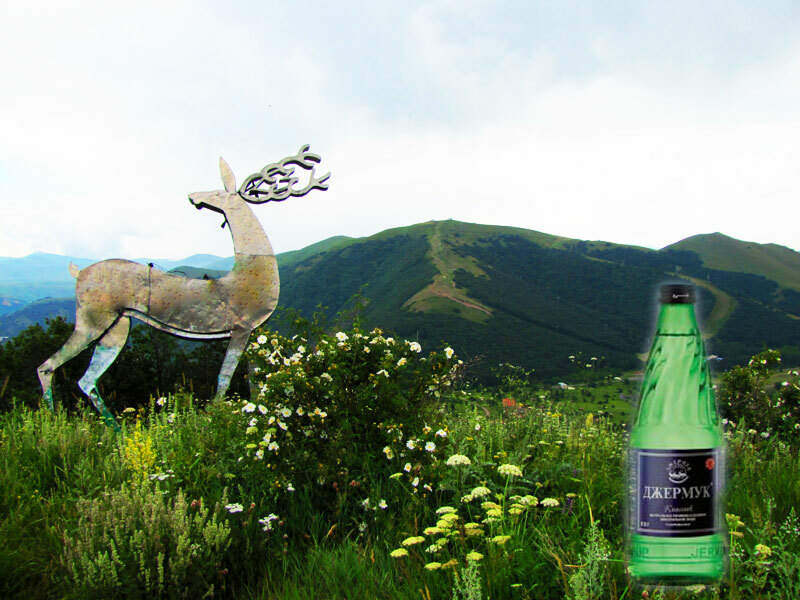 Jermuk mineral water used to be one of the most famous soft drinks throughout the Soviet Union and now post-Soviet space. 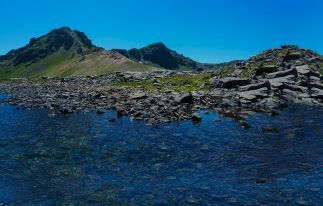 This indigenously Armenian drink has its origins in the depths of the earth and flows right out from mountain springs in the resort town of Jermuk. Jermuk mineral water has a number of healing properties: doctors recommend using water in gastritis and gastric ulcers, diabetes, diseases of the nervous system. 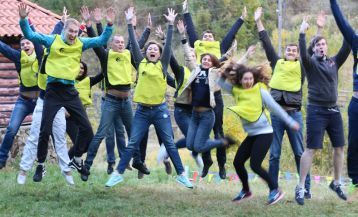 That is why the city of Jermuk, thanks to its healing springs, during the Soviet period, became one of the most popular balneological health resorts, along with such resorts as Karlovy Vary, Borjomi and Zheleznovodsk. 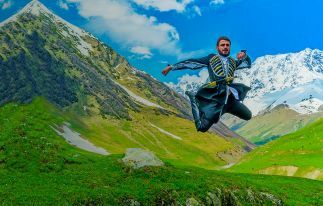 Nowadays the resort town of Jermuk attracts a lot of tourists who want to improve their health and try miracle drink straight from the bowels of the earth. And those who do not have the opportunity to visit the city can buy water in absolutely any store at 250 drams ($ 0.5-0.6) per 1.5 liters. Undoubtedly, the Armenian mulberry vodka occupies an honorable position among the alcoholic beverages. Alcohol connoisseurs call it the Armenian brandy or just the “Artsakh”, and refer to as a premium beverage. Mulberry vodka is a sort of brandy, only made from mulberry fruits. Both white and black berries are used in production. Mulberry vodka is prepared almost everywhere, but the greatest popularity it enjoys in Artsakh, where it also is produced in the factory conditions. Vodka has a proud name “Artsakh”, and its taste and multi-faceted palette of flavors make the drink unique. Mulberry vodka goes well with meat dishes, fish, and is also suitable to the eastern and Japanese cuisine. Mulberry vodka should be served chilled or with chopped ice. And, of course, mulberry vodka is an integral part of the beloved Armenian national dish khash. The two perfectly complement each other! Mulberry vodka does not cause headaches and hangovers, and treats diseases of the gastrointestinal tract. Its degree varies from 40 – 75%. Mulberry vodka is also commonly prepared at home. It is believed that homemade mulberry vodka without added sugar and yeast has a healing effect on the body. Perhaps the secret of Caucasian longevity lies in the use of this wonderful the drink! 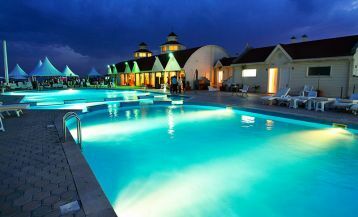 Armenia is considered one of the most ancient countries, known for its traditional recipes of different types of alcoholic beverages. 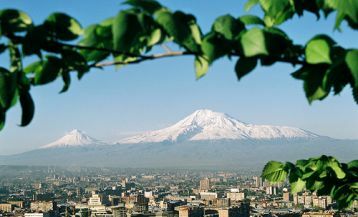 Armenia has about 6,000 years of winemaking history. Ancient karases which were used for fermenting wine and which were found in the caves of Areni, only prove this fact. You can get acquainted with the history of the Armenian winemaking in our previous articles. Wine and legendary Armenian brandy is among the most popular alcoholic beverages in Armenia. Now, however, we want to draw your attention to domestic wines and liqueurs. 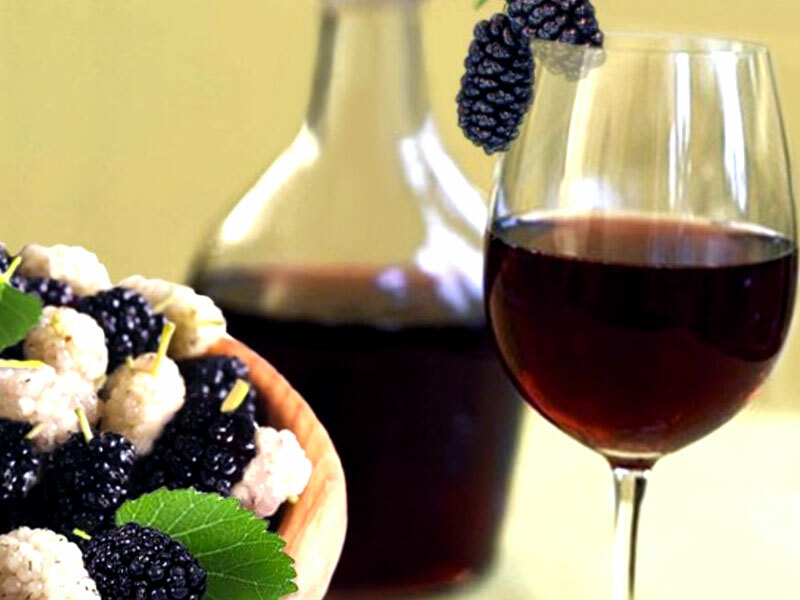 In addition to large-scale, traditional wineries there are many small wine producers who make wine not only from the grapes, but also from pomegranates, raspberries, and other berries. The pomegranate is the symbol of Armenia. Architectural monuments and cross-stones are usually decorated with patterns in the form of pomegranates. The pomegranate symbolizes abundance and fertility. Pomegranate tree grows almost throughout the entire territory of Armenia but is more common in Syunik, Meghri, as well as in Artsakh. Pomegranate wine is quite expensive, as a reason, it is called the drink of the gods. To produce 1 liter of wine in its purest form is required from 10-12 kg of fruit. Pomegranate wine is rather an alcoholic delicacy and should be consumed in small quantities. In addition, it has a number of useful properties: it helps to increase hemoglobin level, and normalizes blood pressure, has a beneficial effect on the cardiovascular system. 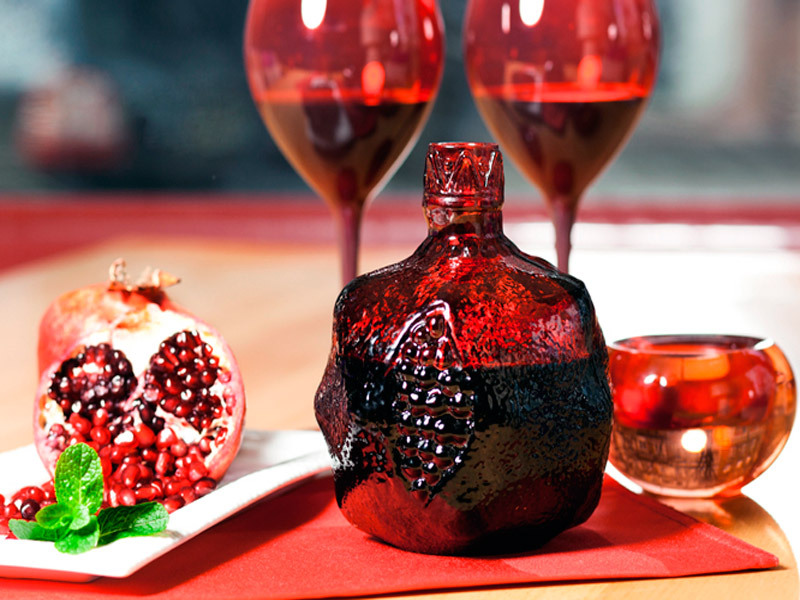 You can buy pomegranate wine in local markets or in the villages right from producers, as well as in the stores. Pomegranate wines are also produced at such large plants as «Areni», «Armenia Wine», «365», etc.